The Combine helps to turn bold ideas into viable business ventures. Many executives and investors participate in the Combine for access to top university talent and to gain insights about emerging media and technology trends. 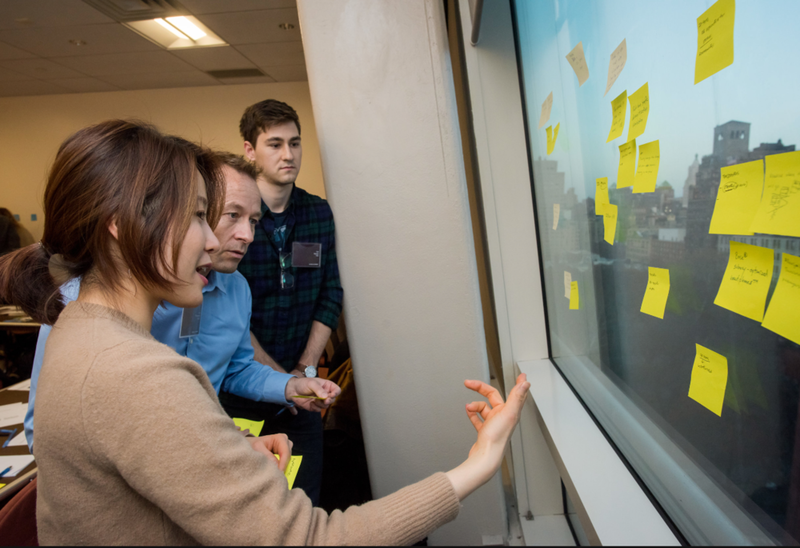 NYC Media Lab offers partnership opportunities for the Combine to offer customized experiences to encourage entrepreneurship, intrapreneurship, business model innovation, and emerging media technology through design thinking and rapid prototyping. NYC Media Lab can help you showcase the lean methodology for evidence-based entrepreneurship. Gain access to cutting-edge ideas from early-stage teams and learn about new market opportunities. NYC Media Lab can help convene internal stakeholders around intrapreneurship and business model innovation. A half-day workshop will expose the potential for use cases of augmented reality or blockchain technology in your business. Get smart. Get on-the-ground at the university campuses that are brewing new ideas. Partnering with universities and other entrepreneurial organizations will inform you of the latest technology and design innovations that will impact your industry. NYC Media Lab offers an introductions service to expert faculty, leading entrepreneurs and investors, and unique labs around New York City. Corporate executives and investors can request custom single and multi-day treks around NYC's vibrant startup scene.